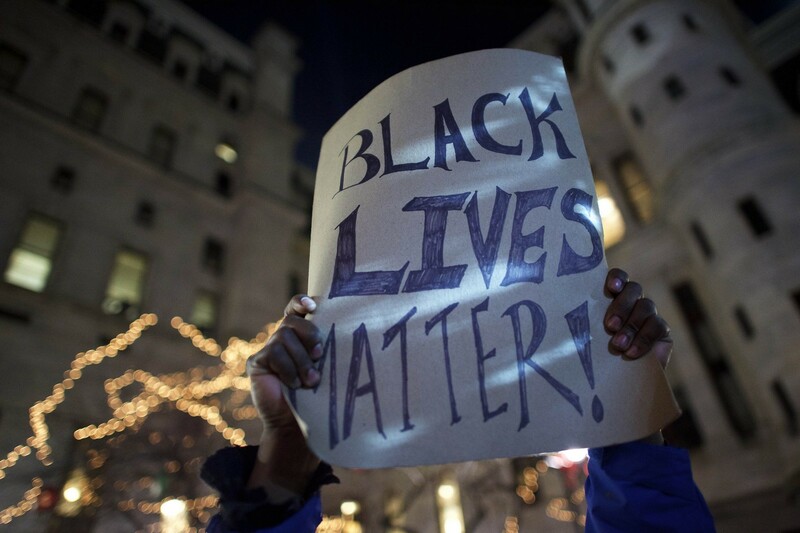 LOS ANGELES - A white police officer shot dead a black man in Arizona when he mistook some pills for a gun, authorities said Thursday, amid protests in New York triggered by a string of similar incidents. 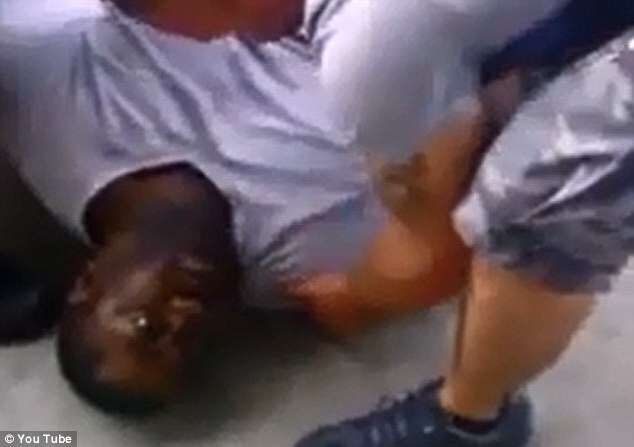 The officer believed the 34-year-old suspect was reaching into his pocket for a gun in the flashpoint Wednesday in Phoenix, in which the man was shot twice in the chest after a struggle. 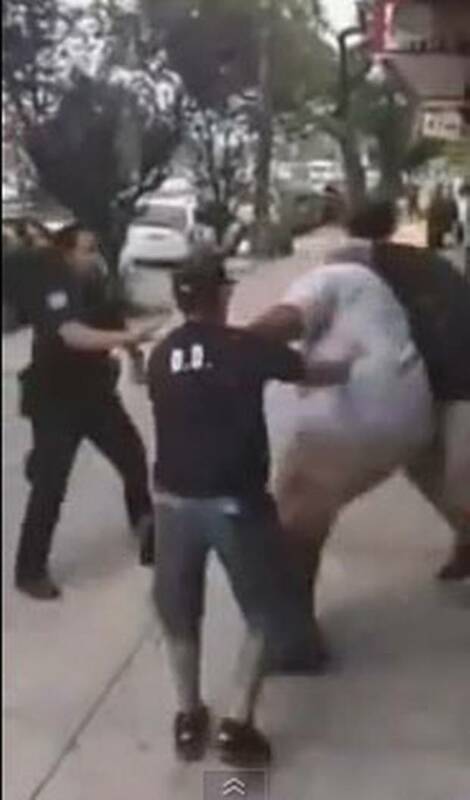 "During the struggle Brisbon put his left hand in his pocket and the officer grabbed onto the suspect's hand, while repeatedly telling the suspect to keep his hand in his pocket," said Phoenix police department in a statement. 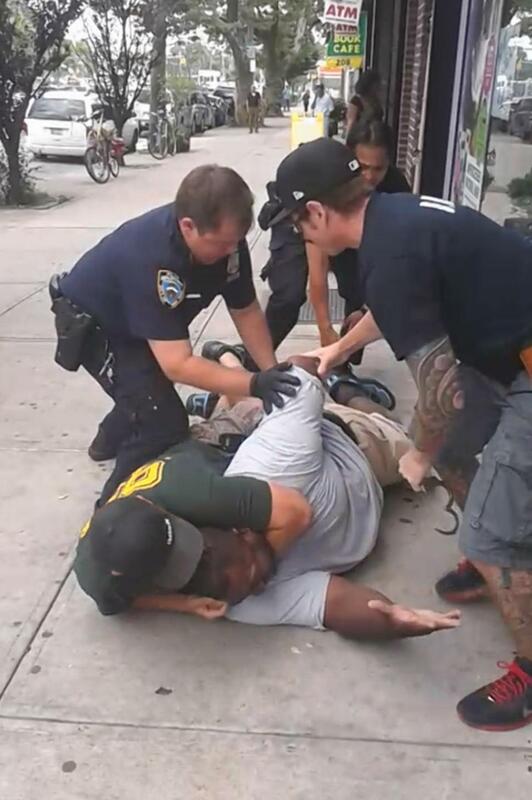 "The officer believed he felt the handle of a gun while holding the suspect's hand in his pocket," it said. 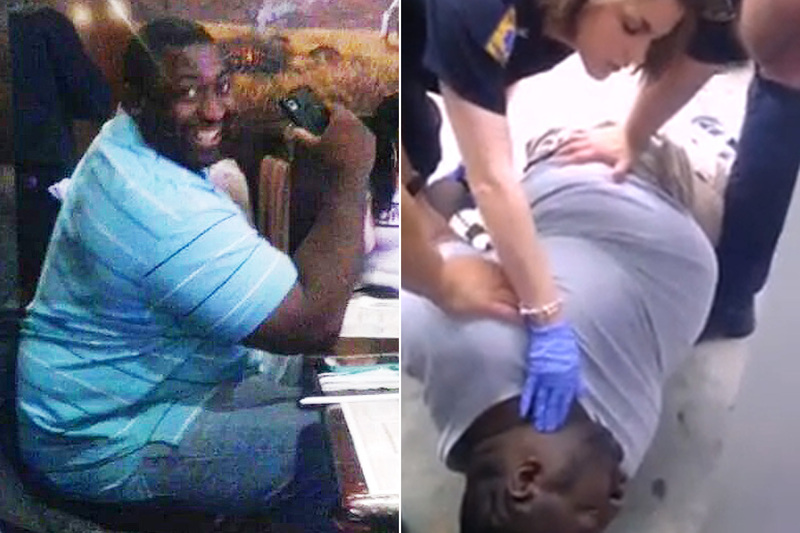 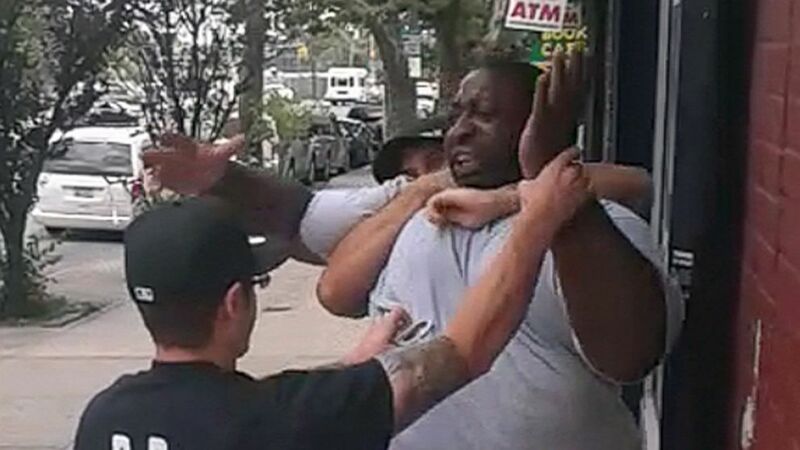 "The officer was unable to maintain his grip on the suspect's hand during the struggle. 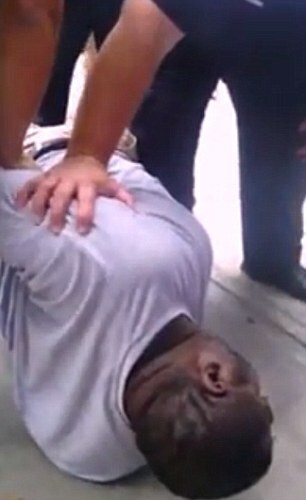 Fearing Brisbon had a gun in his pocket, the officer fired two rounds, striking Brisbon in the torso." 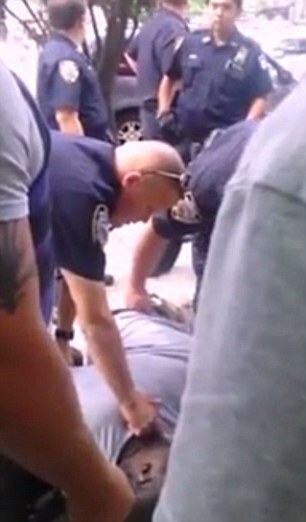 Paramedics treated Brisbon but he died at the scene. 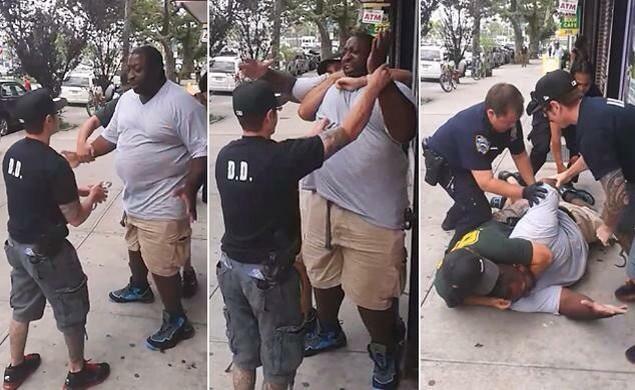 The officer was not injured. 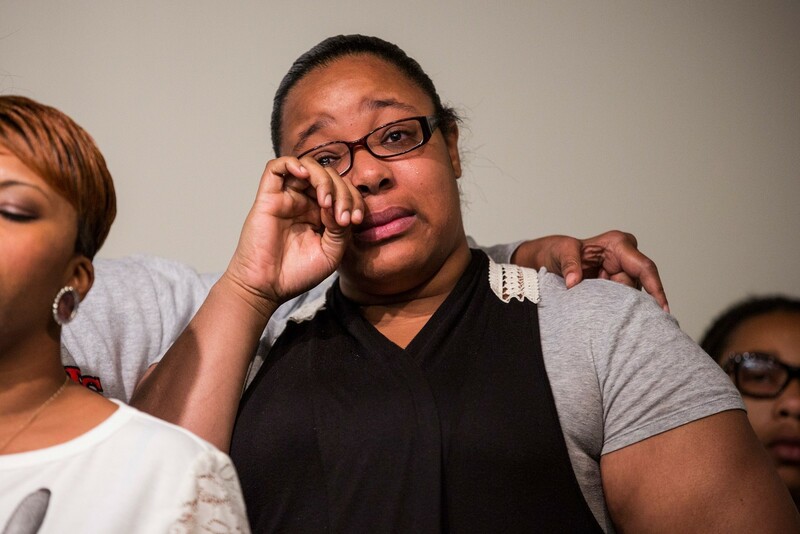 Marci Kratter, a Phoenix attorney representing the family, said: "There are numerous witnesses that will challenge the police officer's account of what transpired." 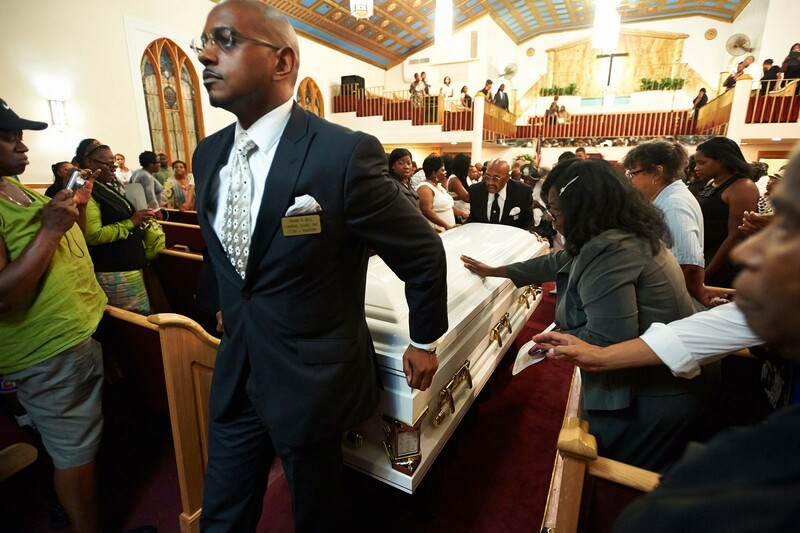 "It was a senseless tragedy. 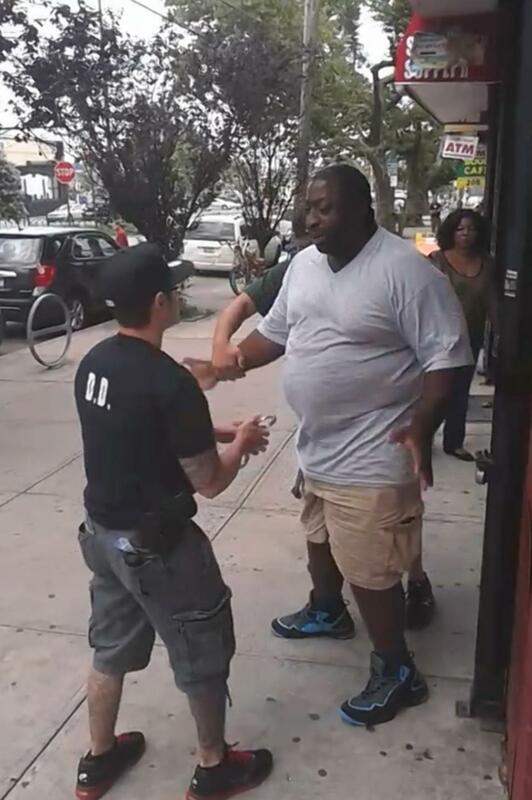 He was unarmed and not a threat to anyone. 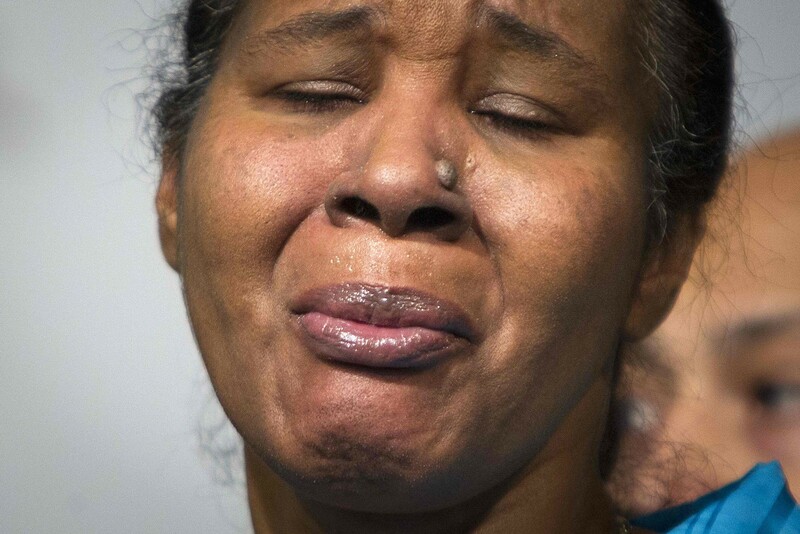 We intend to pursue this to the full extent of the law," she told the Arizona Republic newspaper. 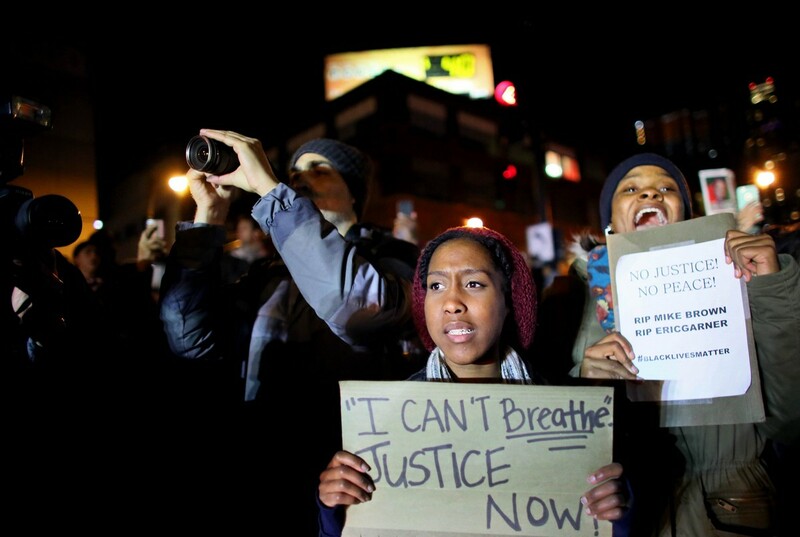 The jury decision came a week after another grand jury also opted not to charge a white policeman in the fatal shooting in August of an unarmed black teenager in Missouri. 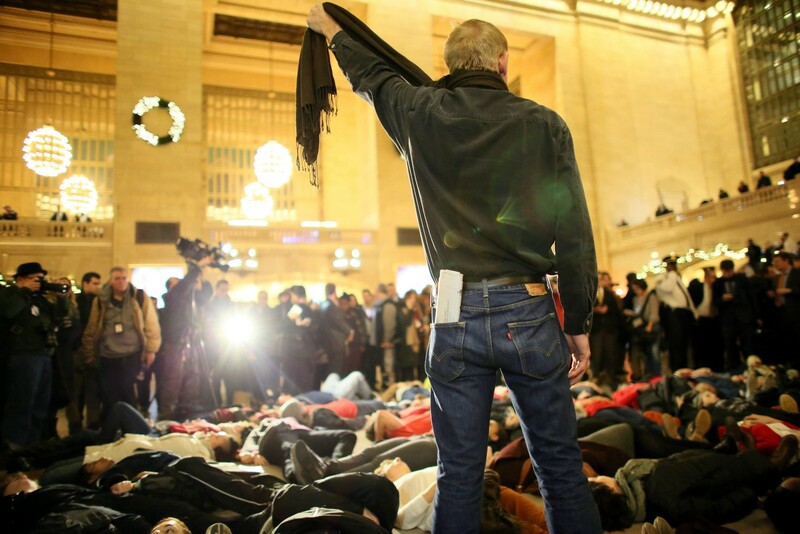 A man symbolically chokes himself with a scarf during a protest in Grand Central Terminal, New York on December 3. 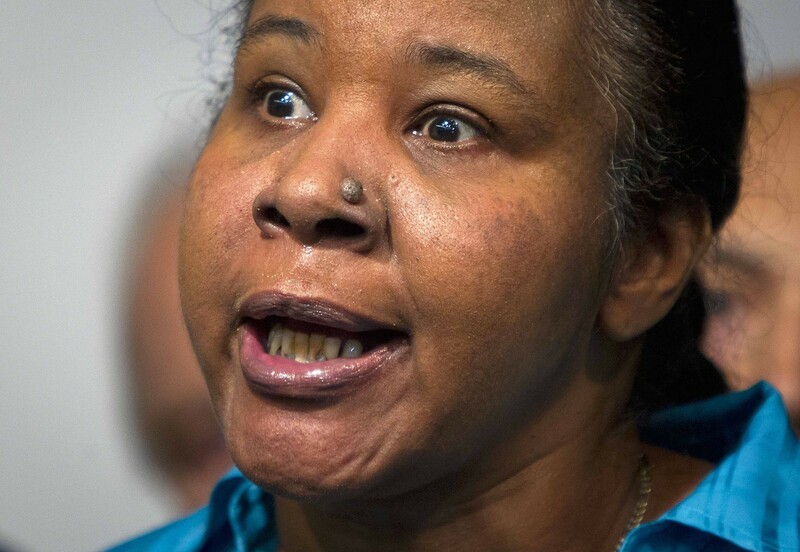 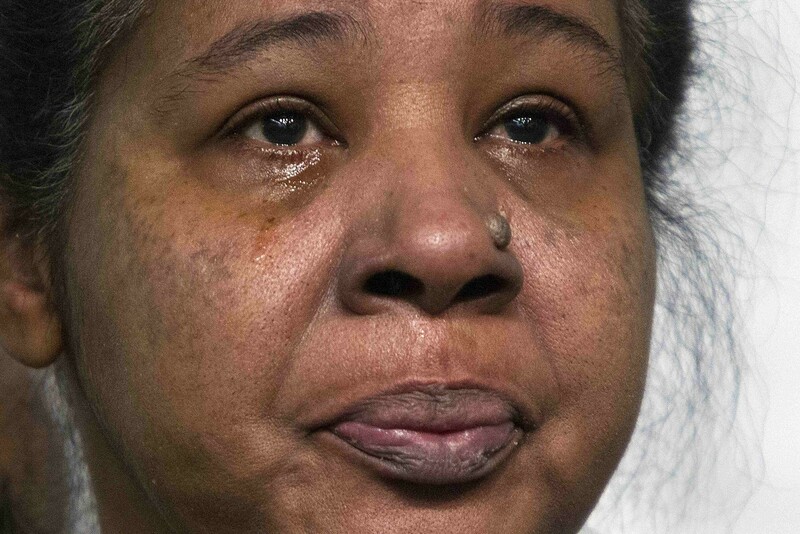 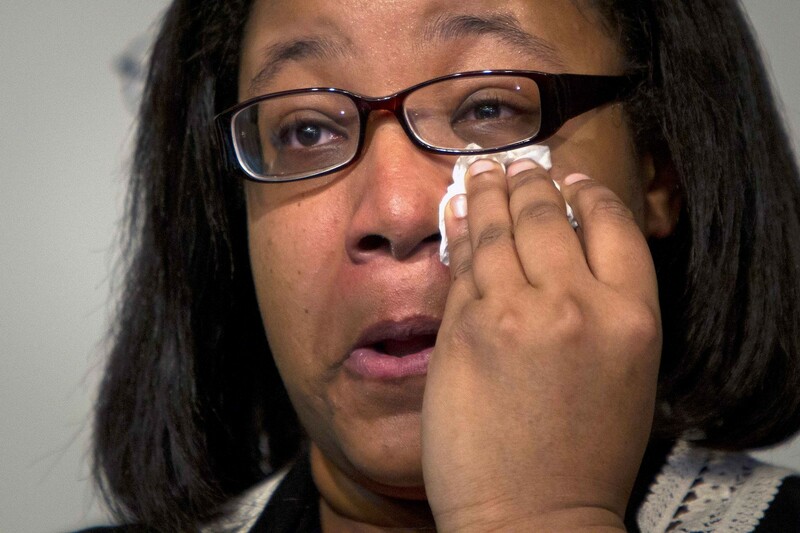 Esaw Garner, Wife of Eric Garner, attends a press conference. 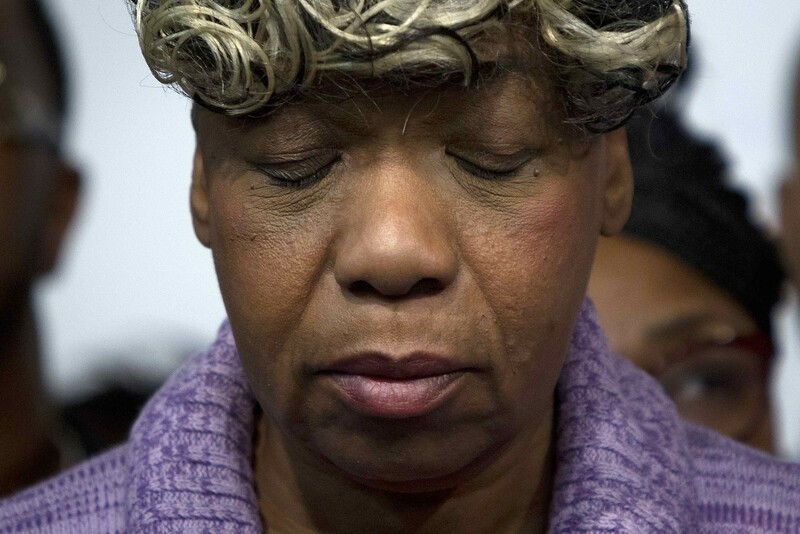 Esaw Garner, widow of Eric Garner, cries as civil rights activist Reverend Al Sharpton speaks at the National Action Network in the Harlem Borough of New York November 29. 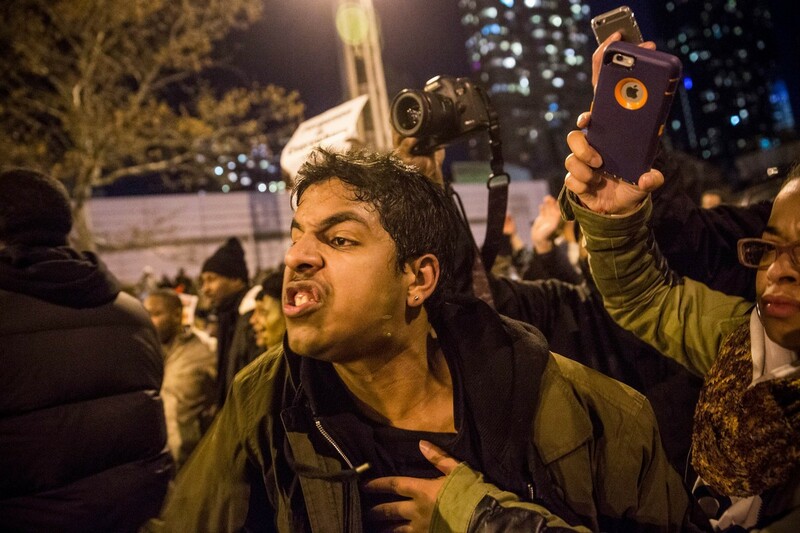 Thousands of protesters shouted at police and clogged streets of Manhattan. 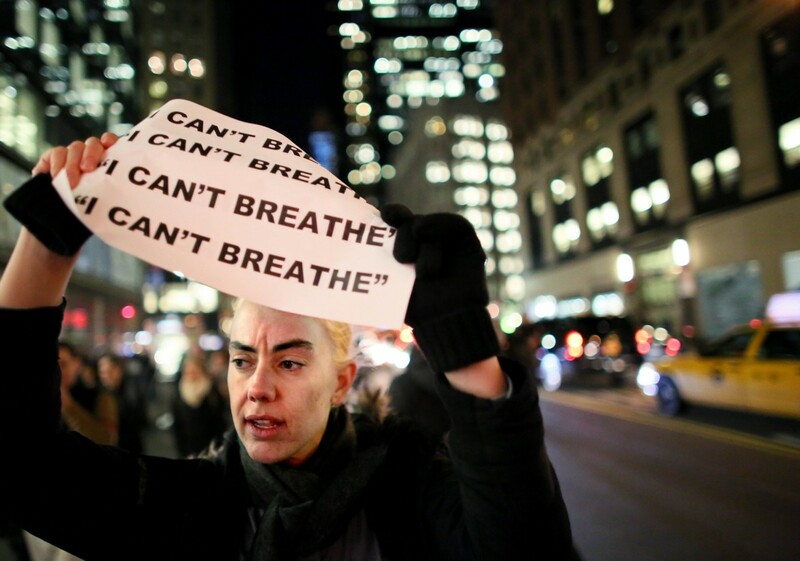 The protesters were angered by a New York City grand jury's decision not to charge a white police officer in the chokehold death of an unarmed black man. 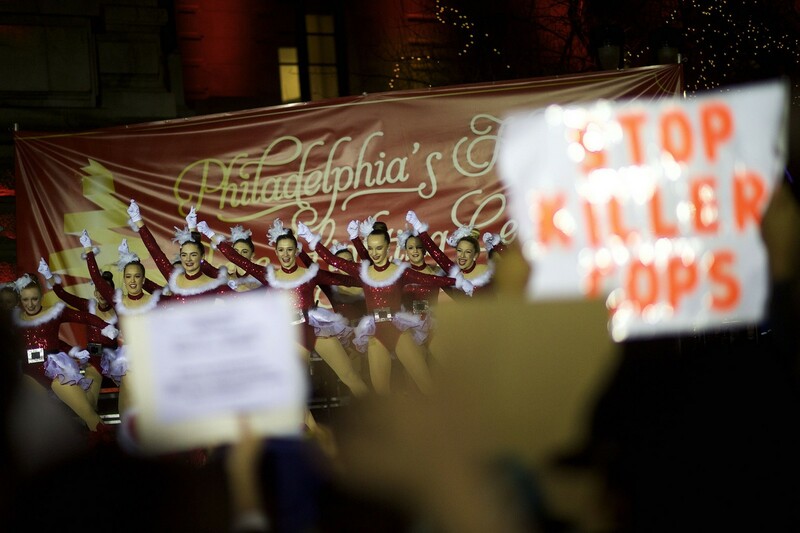 Dancers perform during a Christmas Tree lighting ceremony at City Hall, in Philadelphia, Pennsylvania, while demonstrators gathered there to protest the Eric Garner grand jury decision. 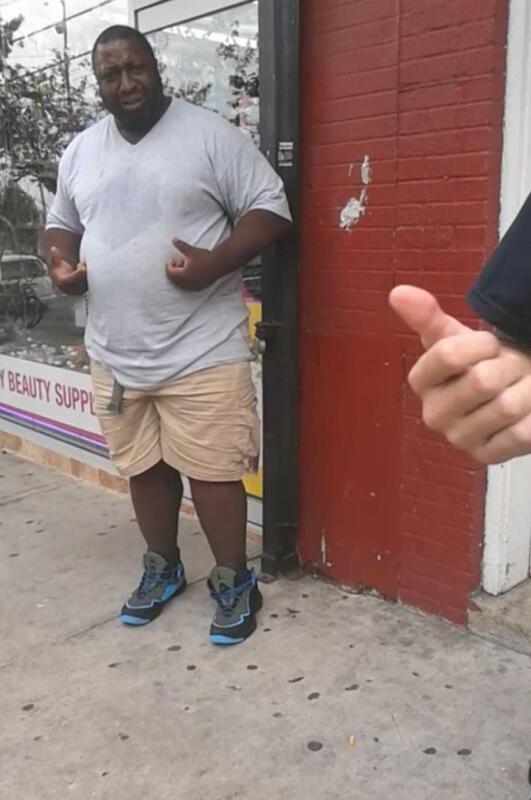 Garner, a 43-year-old father of six, was accused of illegally selling cigarettes on a sidewalk. 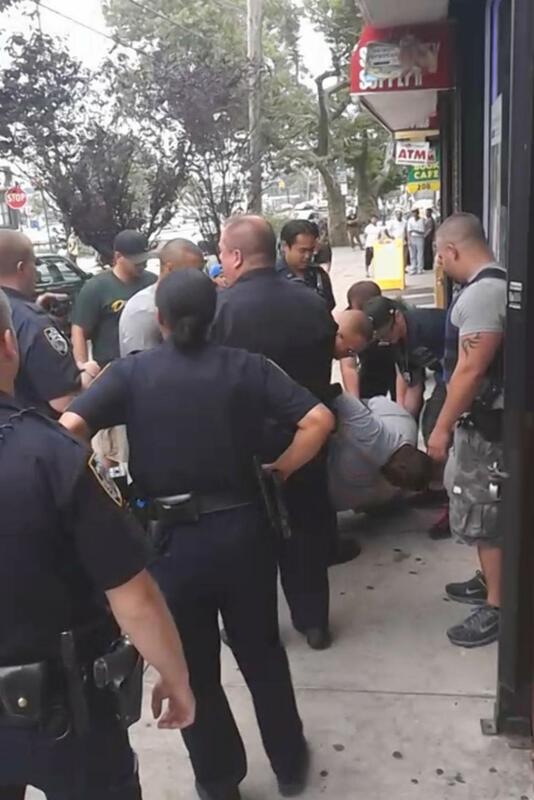 Officer Daniel Pantaleo put him in a chokehold from behind and tackled him with the help of other officers. 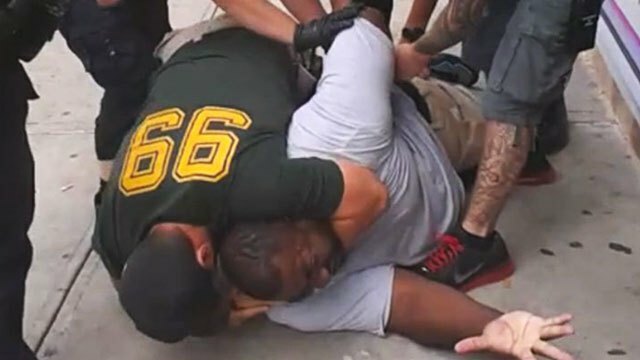 The deadly encounter was captured on video, which quickly spread over the Internet and fueled debate about how US police use force, particularly against minorities. 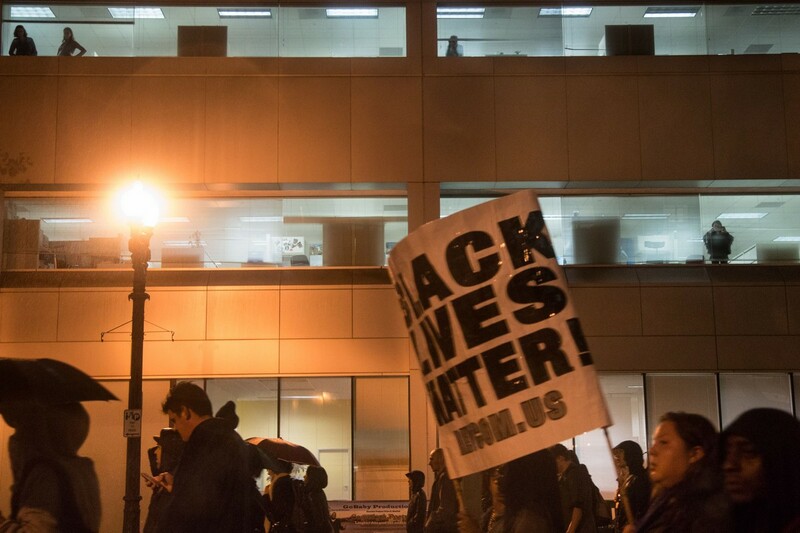 It was the second grand jury in just over a week to decline to prosecute a white policeman in the death of an unarmed black man. 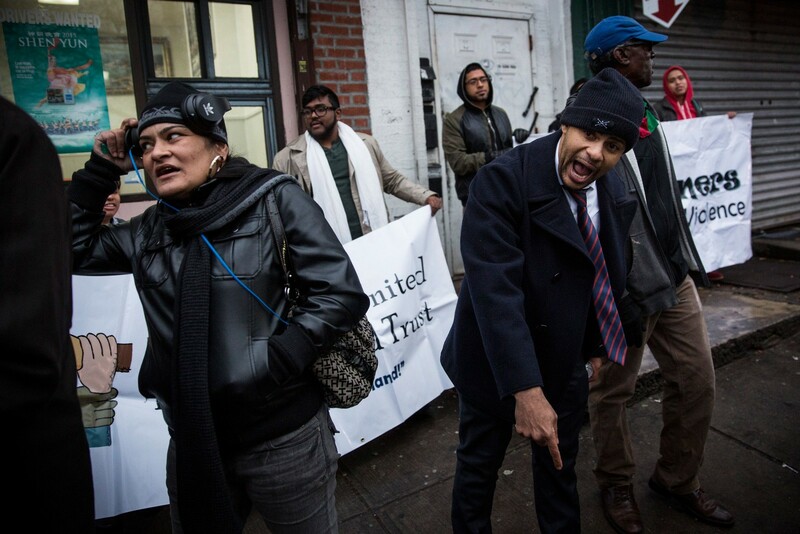 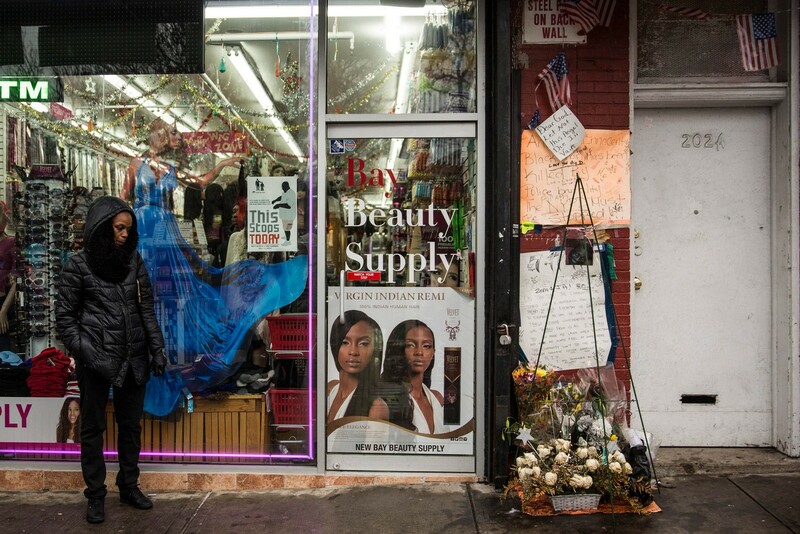 People stand around outside the beauty salon where Eric Garner was killed on July 17. 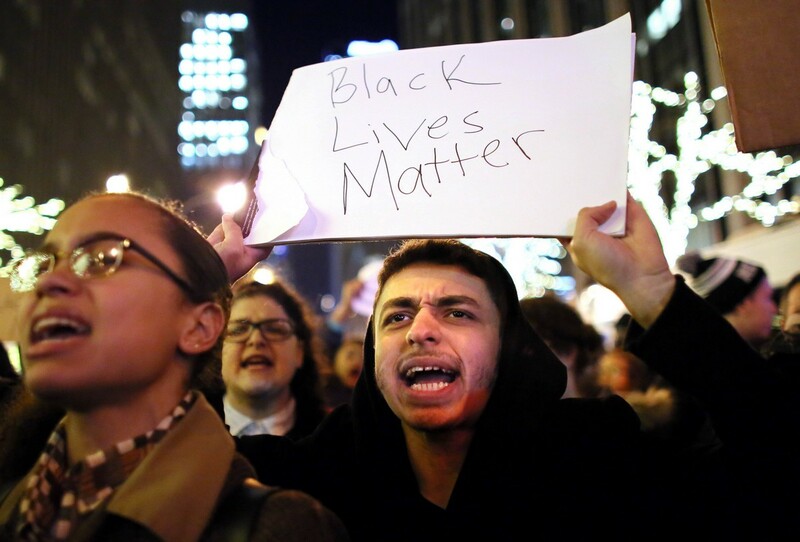 Demonstrators hit the streets in several areas of New York City after a grand jury declined Wednesday (Dec 3) to charge a white police officer in the choking death of a black man, days after a similar decision sparked unrest in US cities. 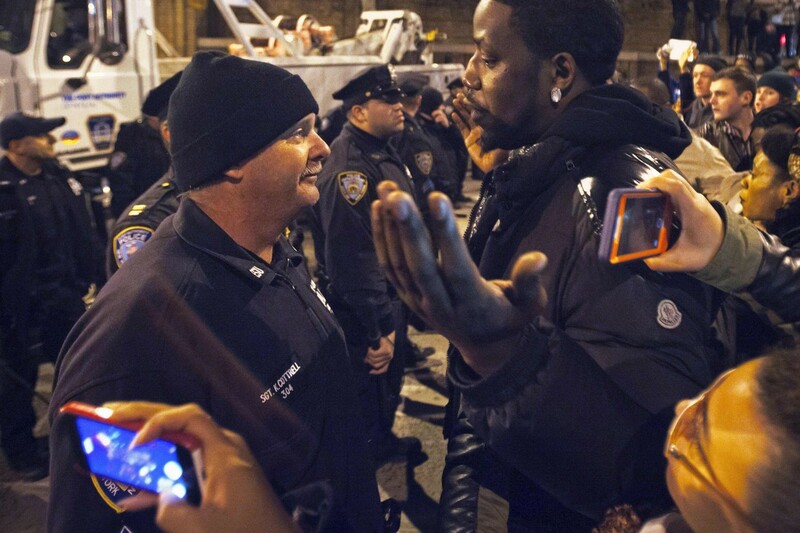 People (R) blocking the Lincoln Tunnel argue with police as they protest against the grand jury decision not to indict the police officer in the death of Eric Garner, in the Manhattan neighborhood of New York December 3, 2014. 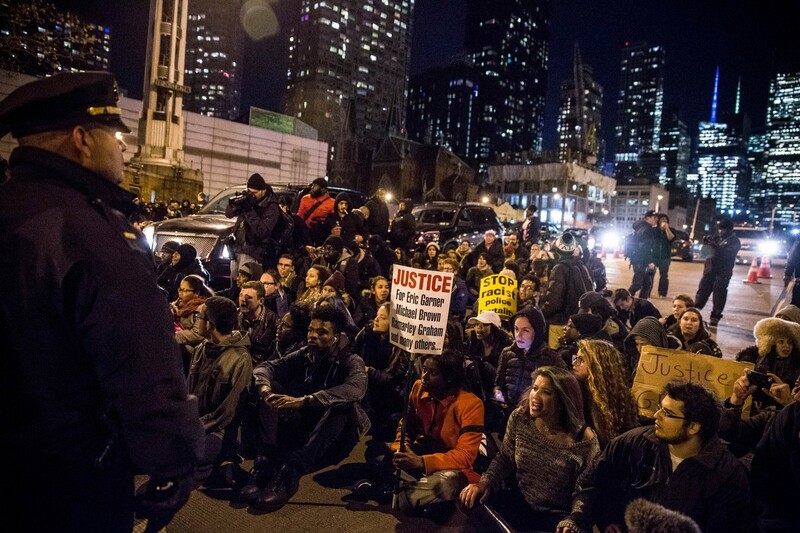 People sit and block the Lincoln Tunnel as they protest against the grand jury decision to not indict the police officer in the death of Eric Garner, in the Manhattan neighborhood of New York December 3, 2014. 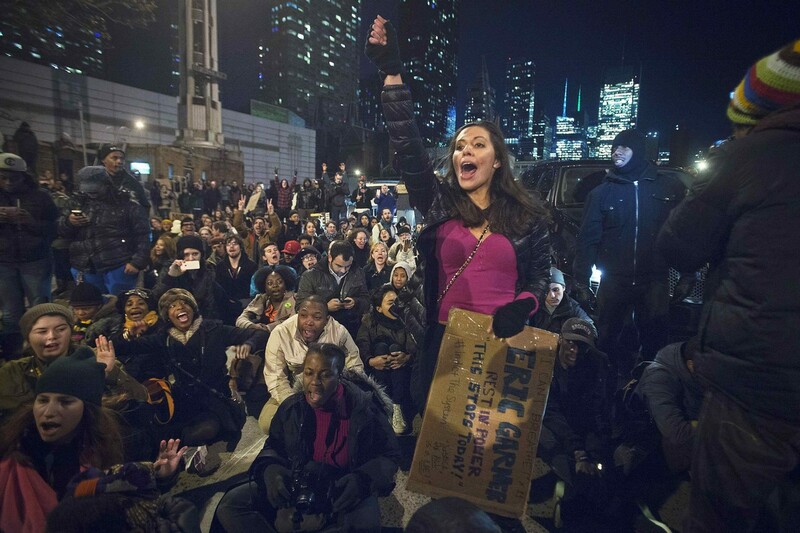 Soon after the decision by the grand jury, hundreds of protesters converged on the Rockefeller Center and in New York City's iconic Times Square chanting "No justice, no peace." 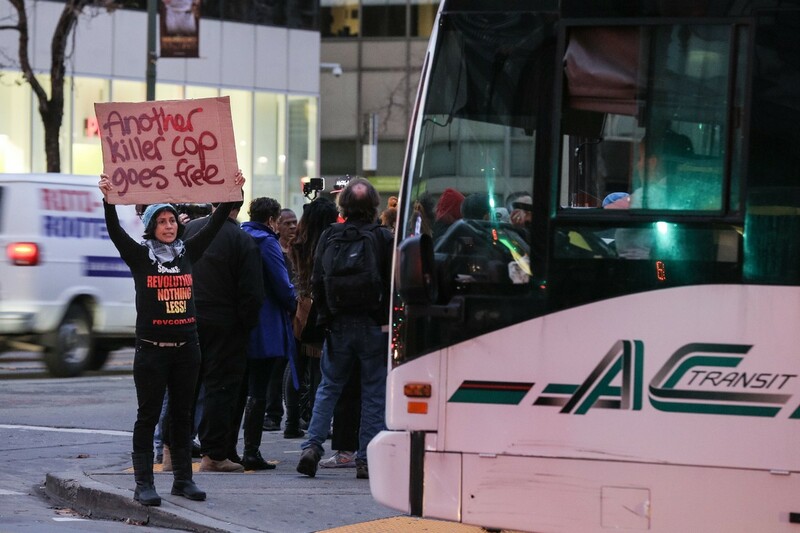 The chant is the signature call of demonstrators already angered by a jury decision last week not to indict a white policeman in the fatal shooting of black teenager Michael Brown. 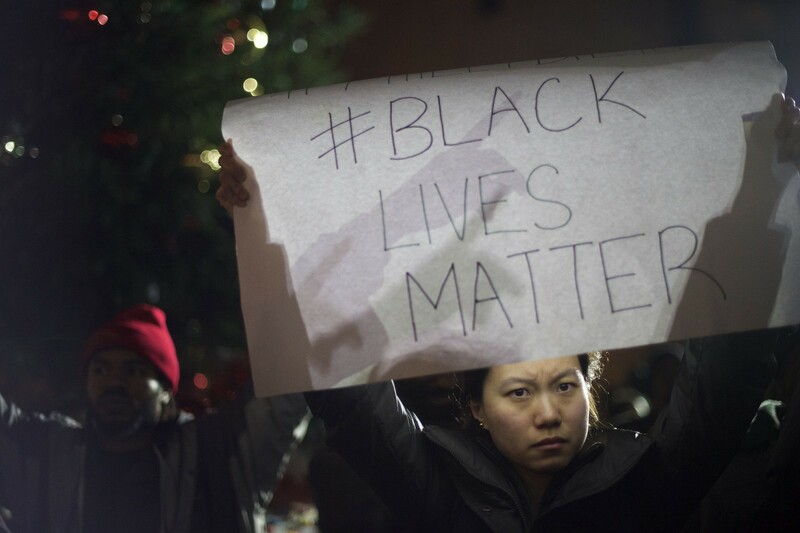 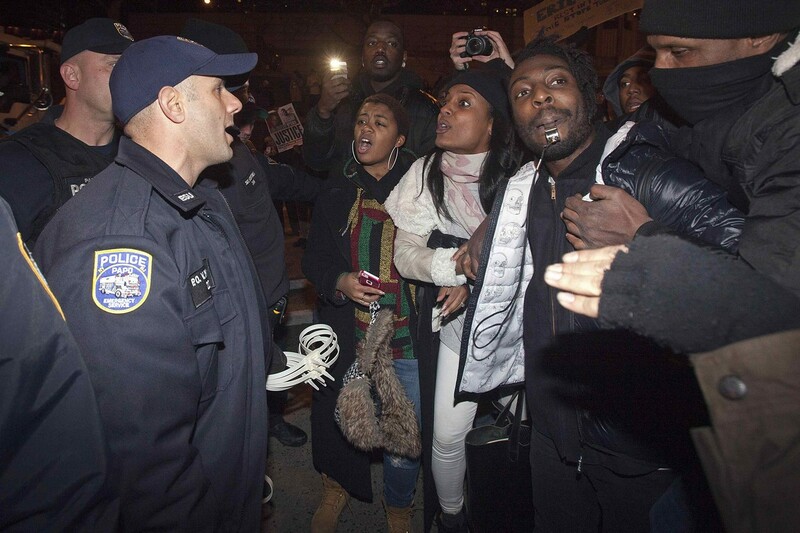 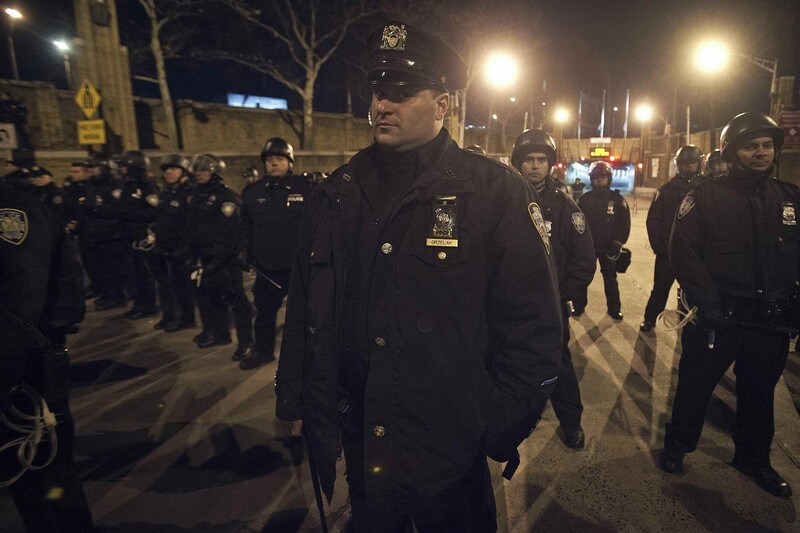 Police made at least 30 arrests, New York Police Commissioner Bill Bratton said. 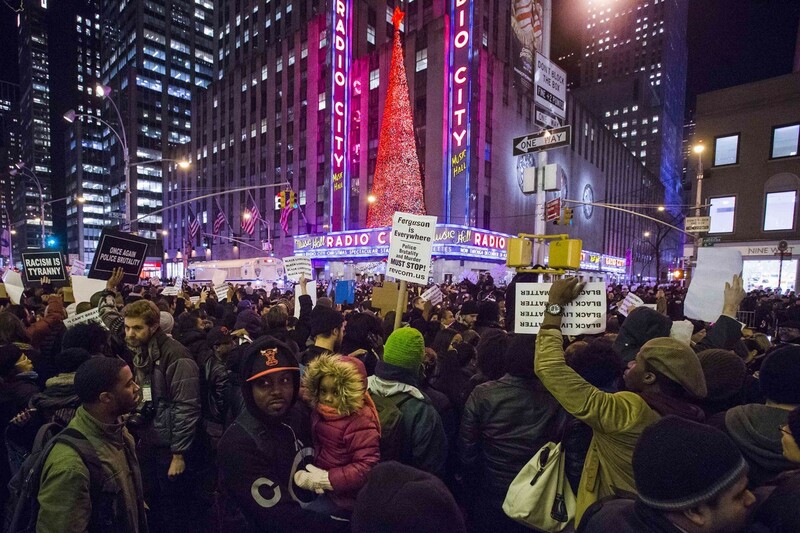 Demonstrators walk together during a protest December 3, 2014 in New York. 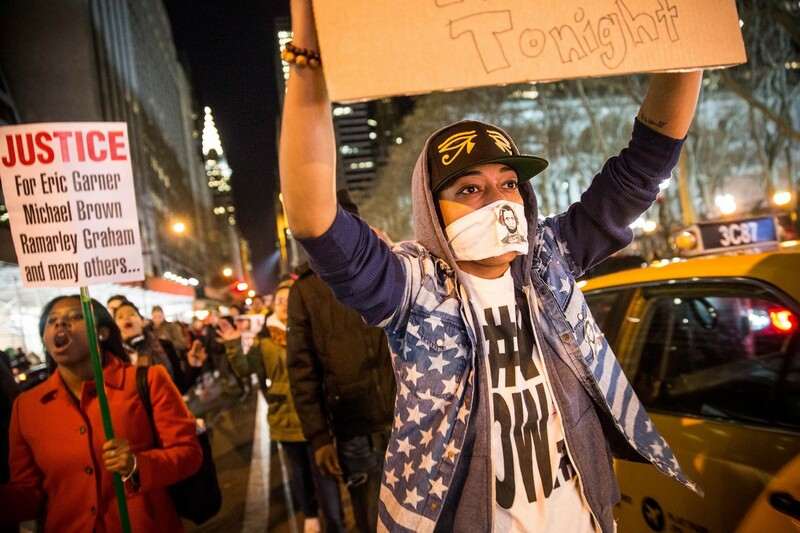 A protester stands in front of a truck to block Lincoln Tunnel during a demonstration against the grand jury decision not to indict the police officer in the death of Eric Garner, in the Manhattan neighborhood of New York December 3, 2014. 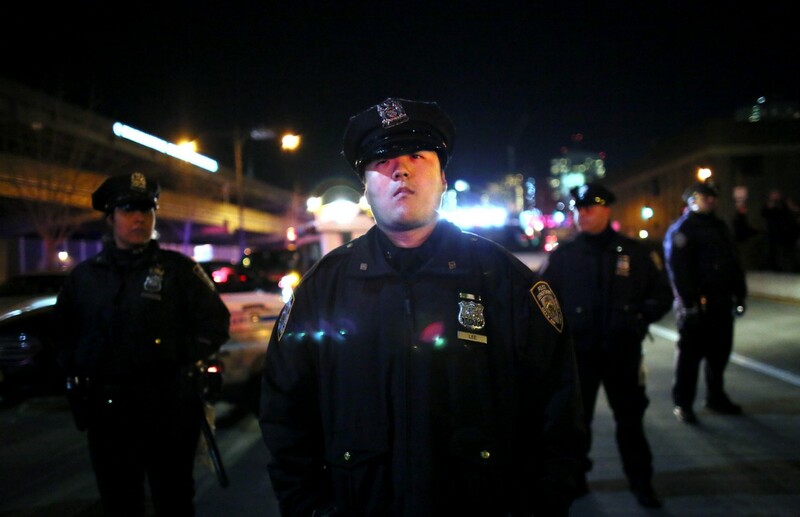 Police guard the Lincoln Tunnel during a protest against the grand jury decision not to indict the police officer in the death of Eric Garner, in the Manhattan neighborhood of New York December 3, 2014. 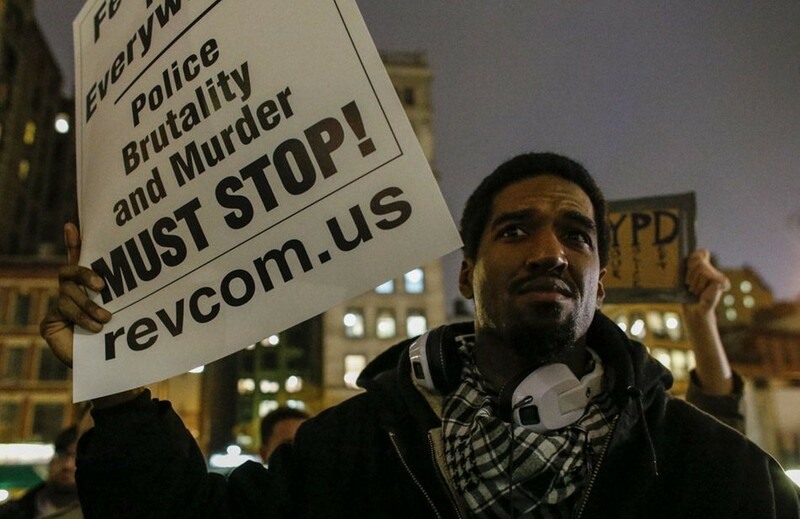 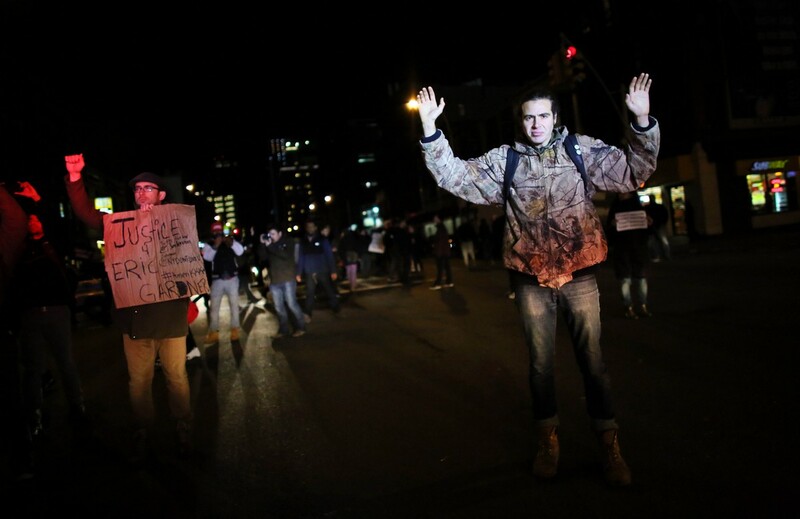 A protester stands with his arms raised against cop cars on the West Side Highway December 3, 2014 in New York. 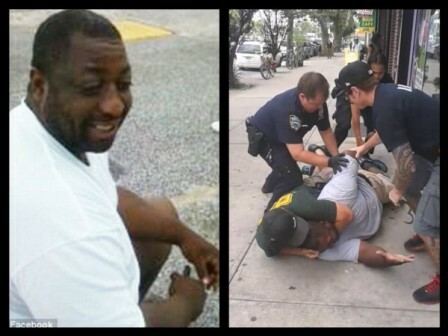 Following Wednesday's jury decision, Attorney General Eric Holder said the US Justice Department will launch a federal civil rights investigation into the case of Eric Garner, who died after being placed in a chokehold by New York police officer Daniel Pantaleo while being arrested on suspicion of selling untaxed cigarettes on Staten Island, a NYC borough. 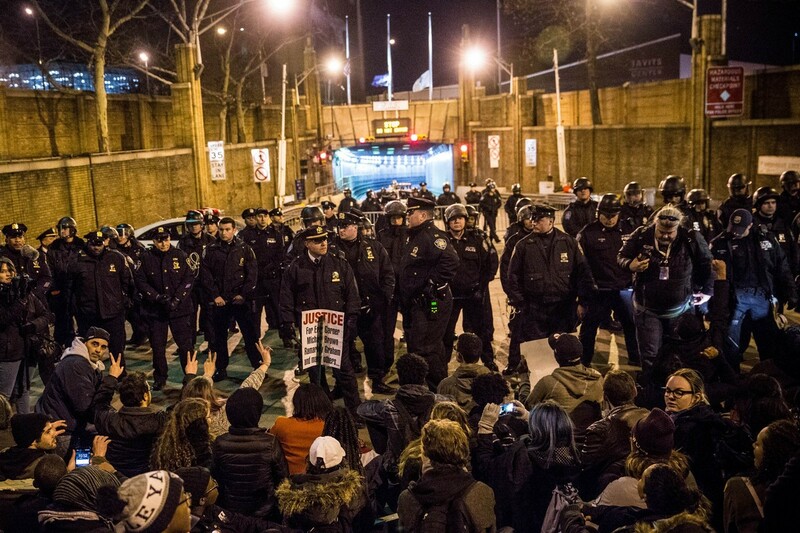 People block the Lincoln Tunnel as they protest against the grand jury decision to not indict the police officer in the death of Eric Garner, in the Manhattan neighborhood of New York December 3, 2014. 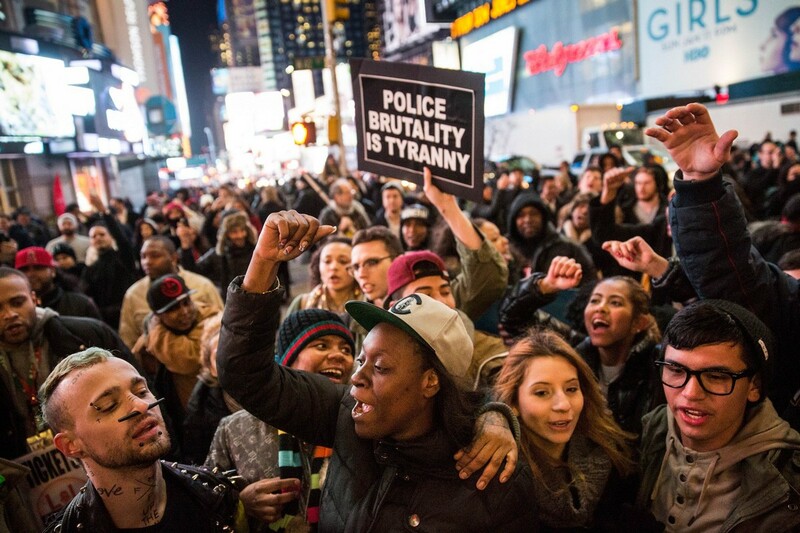 Holder's announcement - which means Pantaleo could still face trial - failed to deter protesters in Times Square who waved signs with messages such as "Black lives matter," and "Respect human lives." 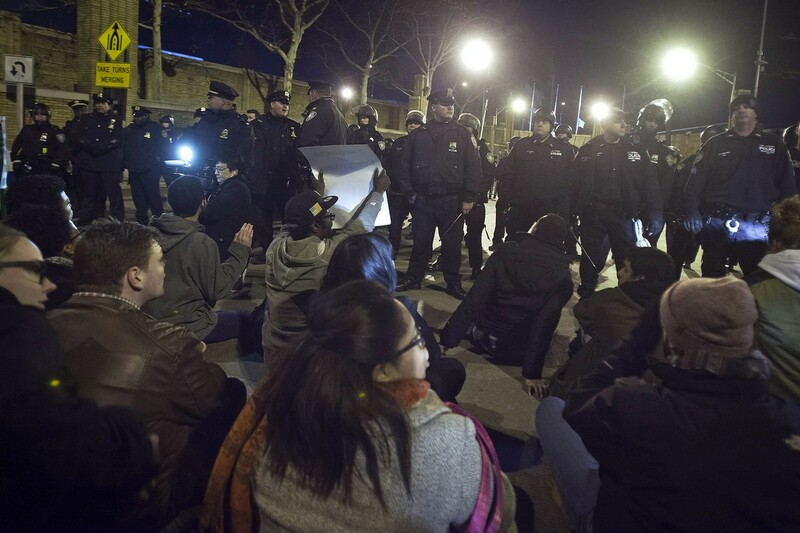 Several people were arrested as they tried a sit-in near the famed Rockefeller Center by police who were out in force, a reporter said. 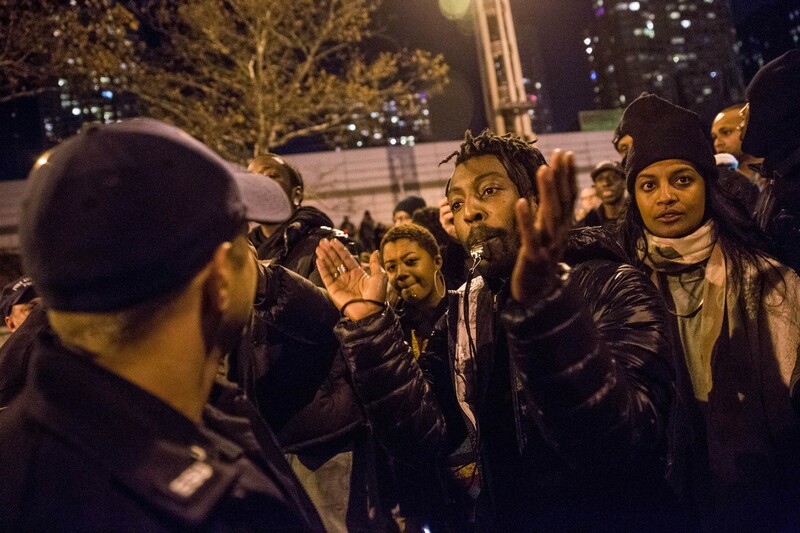 Demonstrators block the entrance to the Lincoln Tunnel following a Staten Island, New York grand jury's decision not to indict a police officer involved in the chokehold death of Eric Garner in July on December 3, 2014 in New York City. 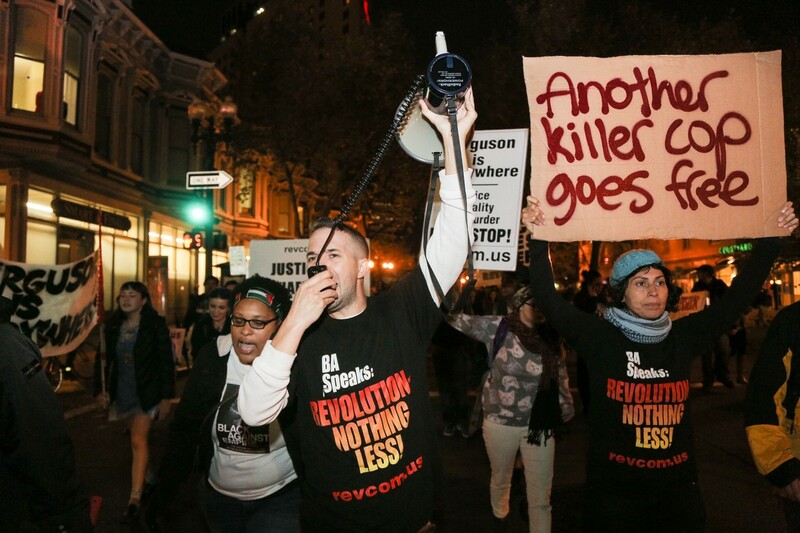 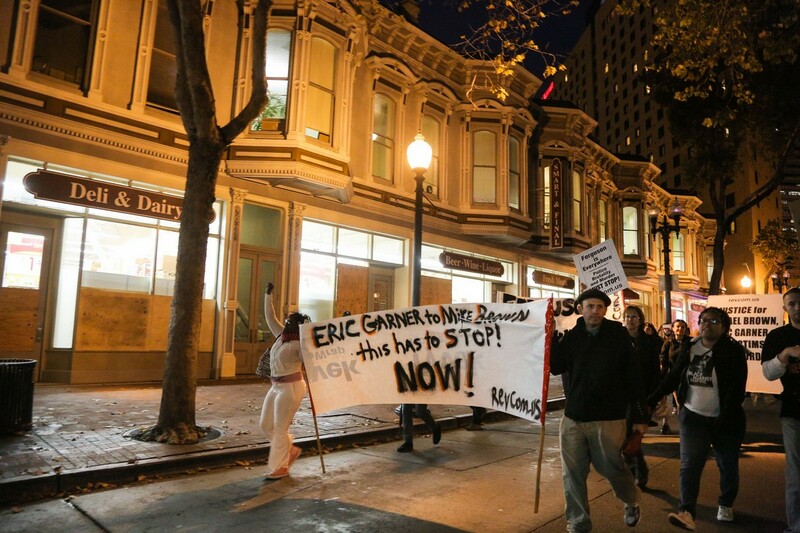 Garner's death is one of a string of high-profile, racially charged incidents in which white officers have been accused of using unreasonable force or being too quick to fire at black suspects. 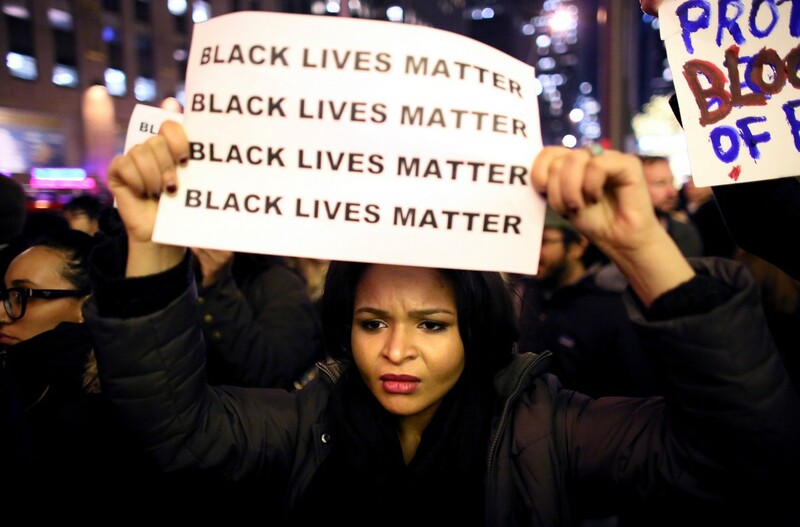 In brief comments following the grand jury decision, President Barack Obama addressed the inherent mistrust many African Americans have of police. 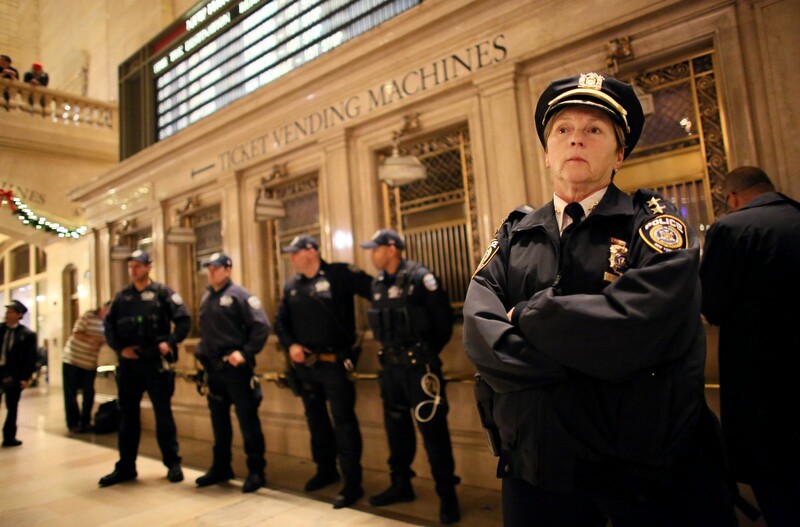 "We're seeing too many instances where people do not have confidence that folks are being treated fairly," Obama said. 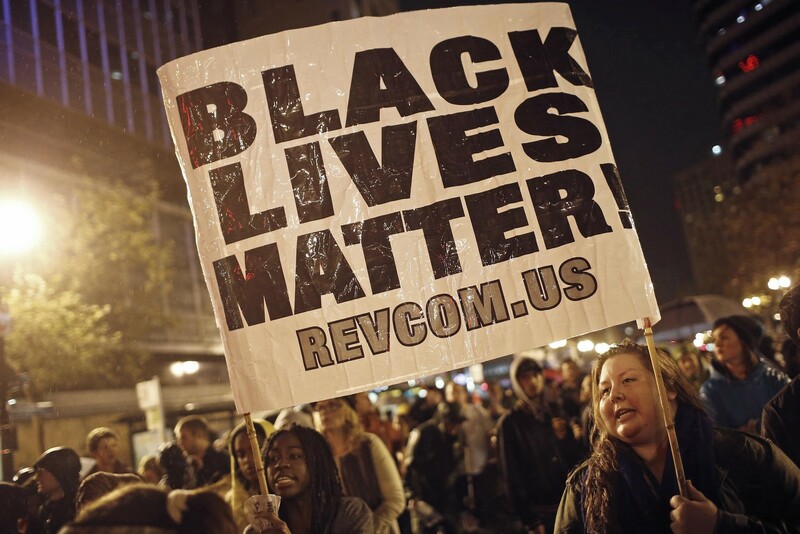 "In some cases, those may be misperceptions, but in some cases that's a reality, and it is incumbent upon all of us as Americans... that we recognise this is an American problem and not just a black problem or a brown problem." 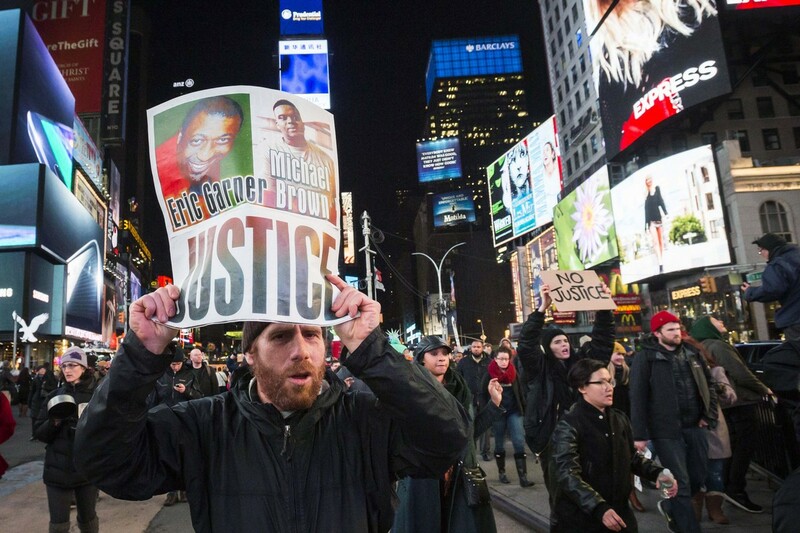 Protesters shout slogans as they demand justice for the death of Eric Garner, while waving placards through Times Square in the Manhattan borough of New York December 3, 2014. 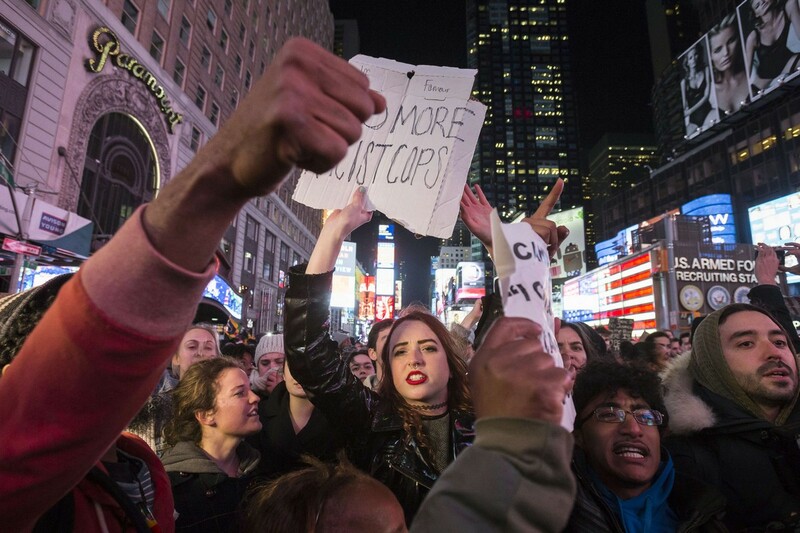 In New York, demonstrator Susan Schneider said: "The police has impunity. 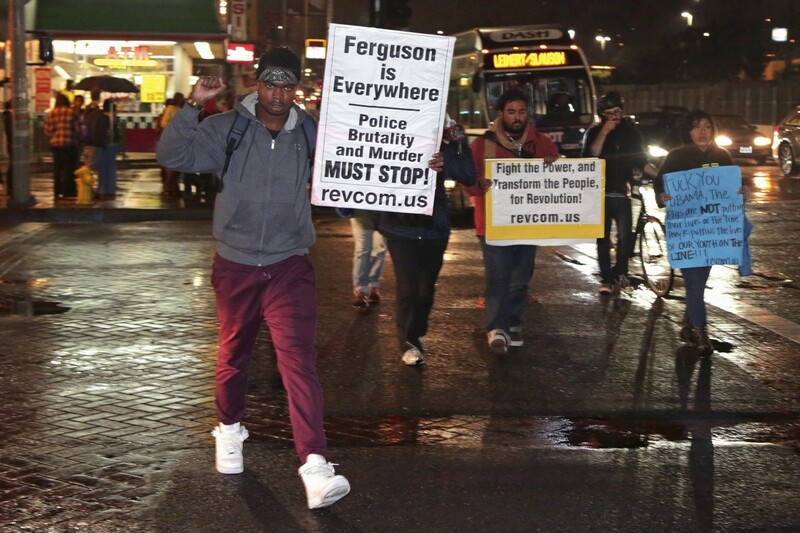 They can run away whatever they do."